On this day the regiment, camped about three miles below New Iberia, Louisiana, arose at 4:00am and marched into the town. The 16th Ohio would perform garrison duty in here for several days. The troops took the opportunity to build better accommodations for themselves, fixing up their tents, installing wood floors and other reinforcements in their quarters. 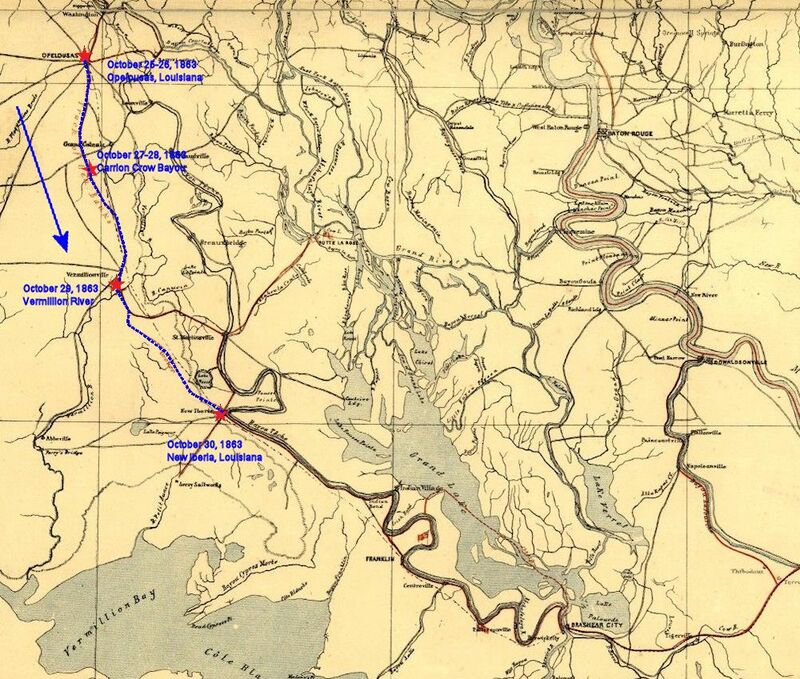 1863 military map showing the approximate route of the 16th Ohio on its march from the Vermilion River, near Vermilionville (Lafayette), to New Iberia, Louisiana, arriving there on October 30, 1863. The regiment would remain here until November 8. 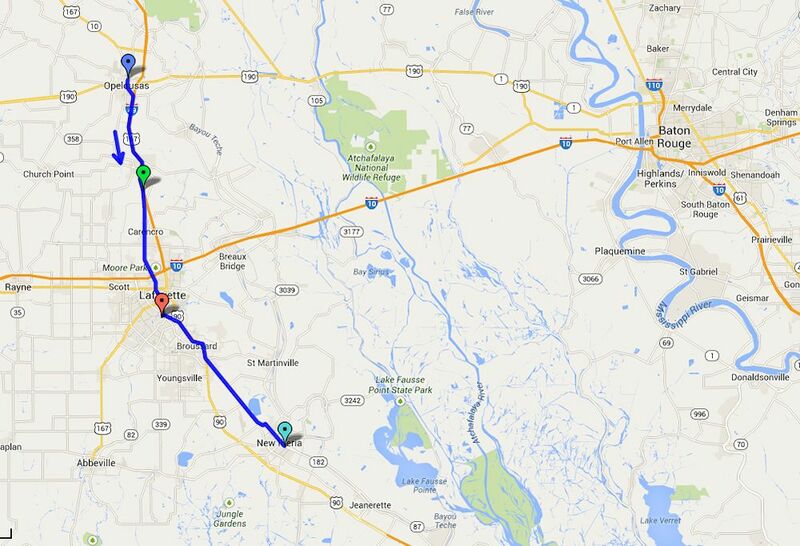 Modern day map showing the approximate route of the 16th Ohio on its march from the Vermilion River, near Vermilionville (Lafayette), to New Iberia, Louisiana, arriving there on October 30, 1863. The regiment would remain here until November 8. Aqua pin - Location of the 16th Ohio at New Iberia, Louisiana, October 30 to November 6, 1863.